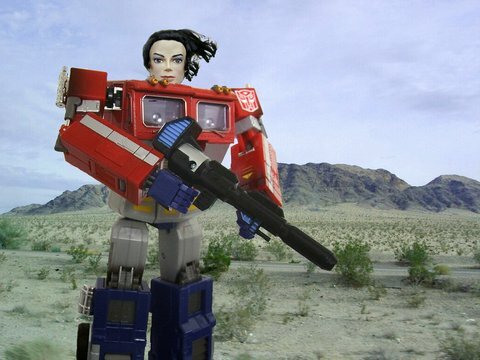 About two weeks ago, the news came around that Michael Jackson wanted a 50-foot robot of himself that would wander the desert near Las Vegas. It sounded like a publicity stunt, like the elephant man's bones, or the hyperbaric chamber. No matter, we can still have fun with it. I posted a call for robot designs, since I knew you could do better than my pathetic little cut-and-paste job here, and I was right. The prototypes are ready for unveiling. 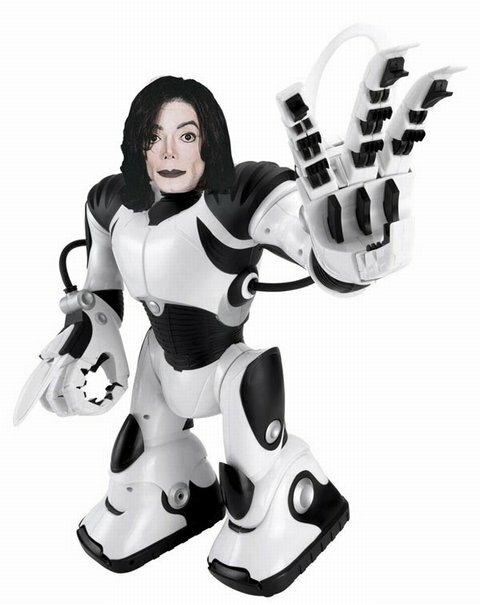 Bill Cox sent in Michael Robo Sapiens. Pete Shelby went for the Transformers style, with Optimus Jackson. Sim couldn't resist going for a laugh! 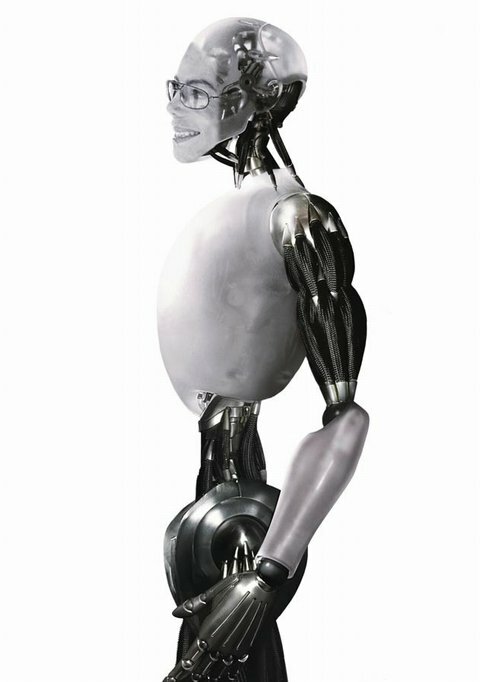 Here's Jackobot. 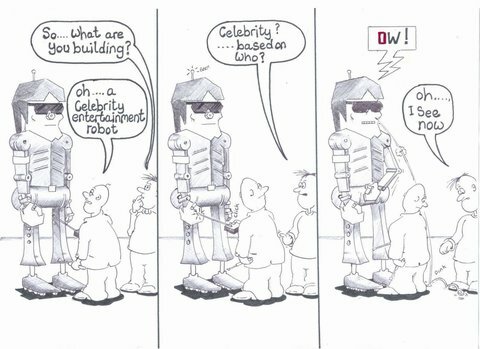 You can see more of his cartoons at Plutos the Bubblemans. 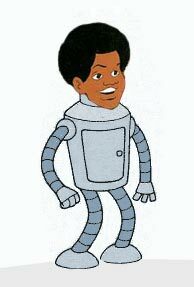 Norm Wilson went cute, with the Jackson 5 star of about 1970. It's called Jackson Robot Goes Wrong. 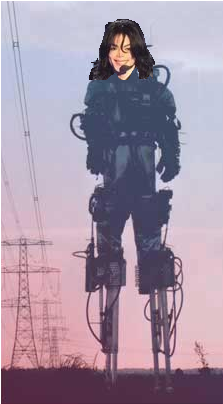 Debra Ericson envisioned the robot as C-3PO. 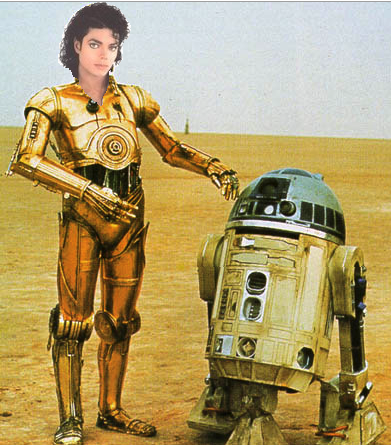 And just like Jackson, he has a sidekick. William in Kentucky sent in two submissions! 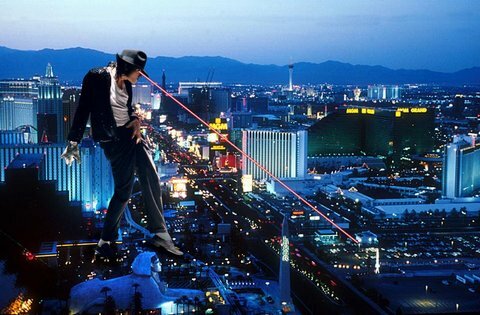 Mike in Vegas probably won't do much for Las Vegas' promotional campaign. Or their insurance premiums. But lasers are cool. 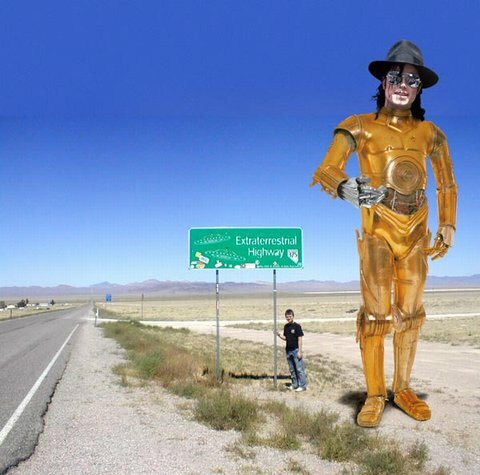 The other placed Jackson in a more logical setting: Here's Area 51 Jackson. Then my brother sent two! 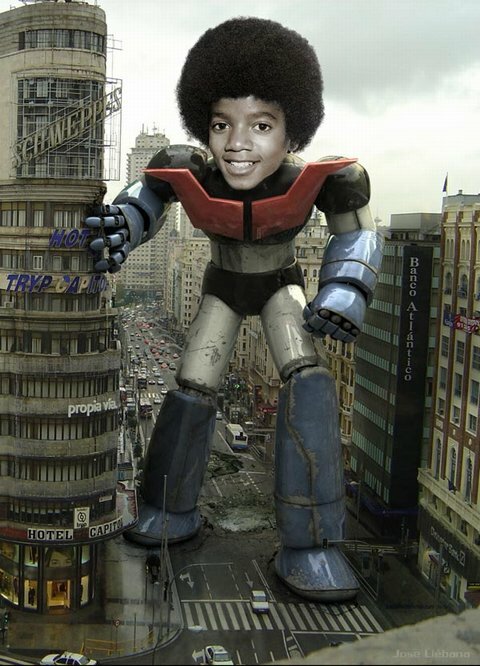 This is Michael "Bender" Jackson. And this one is creepy, because it's so real. MJ5. Thanks to all of you for sending these in! I really got a kick out of them. I wish I had prizes for all of you, but since we don't have prizes, I don't have to judge which is the best. They all are! said Sdeerrertr on November 5, 2007 7:30 AM. said ma513zda on August 24, 2008 6:37 AM.